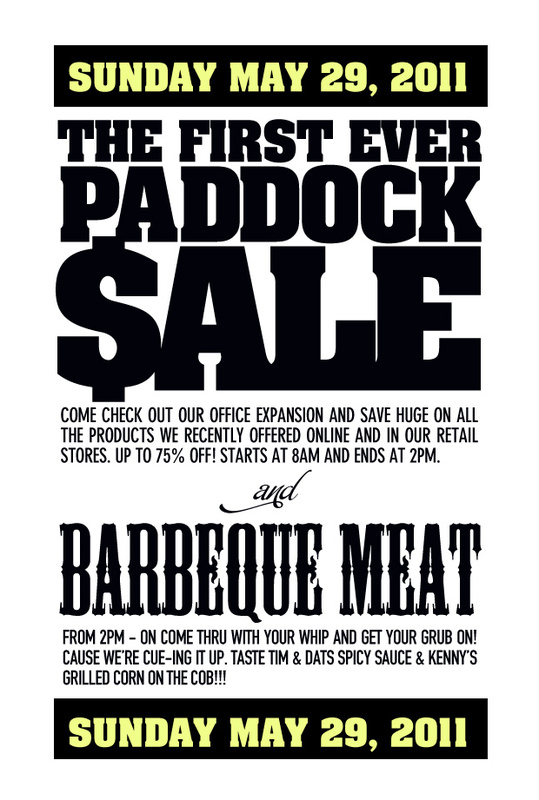 Home EVENTS	Open House & Paddock SALE! On May 29th (THIS SUNDAY!! 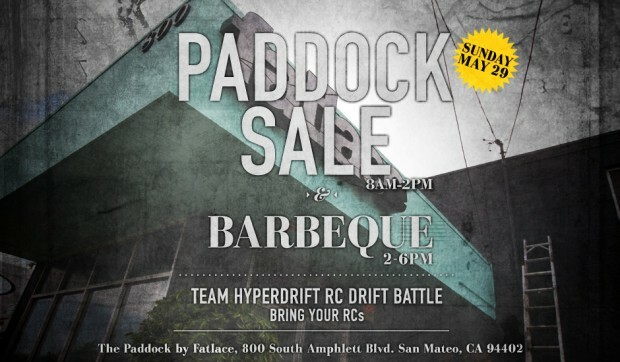 ), we’re having our first ever Paddock Sale. Save huge on all the products we recently offered online and in our retail stores. up to 75% off! SALE starts at 8am and ends at 2pm. And from 2pm on, come thru with your whip and get your grub on! Cause we’re cue-ing it up. Taste Tim & Max’s spicy sauce & kenny’s grilled corn on the cob!!! Also we’re hosting a Hyperdrift RC Battle! Bring your RCs, we’ll be giving prizes for best drift sessions. And while you’re here, check out our office expansion as we’ll be expanding our business and returning to our roots of design & graphics. We’ll be once again offering in house design, vinyl vehicle wraps and consulting to the public. A render of the Paddock. We’ll be painting the frontside of the building. mecca graphics!! Savier!!! 360vm on VHS!! Definatily taking back to your roots! i still have your guys business mecca graphics business card! ! dang i wsih i was closer to check out the expansion! my car would fit in nicely in that drive way…! DAYUUUM! I’m so jealous right now! I wanna visit there just for the hell of it.. Fatlace/Illest is a brand i love buying from. 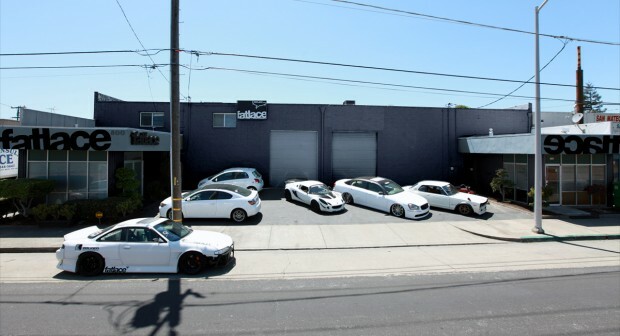 You guys should make a fatlace/illest shop down here on Oahu, Hawaii 😀 that’ll be sweeeeeeet..
Is this at the bricks-and-mortar shop only or is it also online? Any clue if items already on sale online will be cheaper at the Paddock? Need to try some stuff on… Any shoes from the collection for sale (like past releases/sales) and if so is it cash only? Will you guys be accepting visa at the pad or just cash?? Just tweeted you Mark. Let us know! Thanks for the info Leslie. Coming through from the north bay! Should have a nice turn out Sale prices, food and RC Racing! IT WAS A GREAT EVENT/SALE.